If you want solid sound quality from your smartphone, these will serve you well. Little sound leakage. Excellent sound from mobile devices. 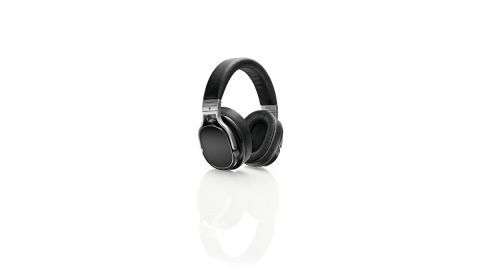 Oppo's PM-3s offer the fairly unusual combination of planar magnetic drivers housed in closed-back headphones and optimised for use with mobile devices. Sonically they perform admirably, offering plenty of detail throughout the frequency spectrum. They're surprisingly 'honest' too - not overly flattering certain frequencies and letting the quality of the music speak for itself, which makes them a solid choice for casual music making duties. They suit day-to-day use too though, pumping out plenty of volume even when connected to a smartphone, with the closed backs limiting leakage. Combined with their classy look and comfortable design, this adds up to an impressive set of 'all-rounder' headphones.